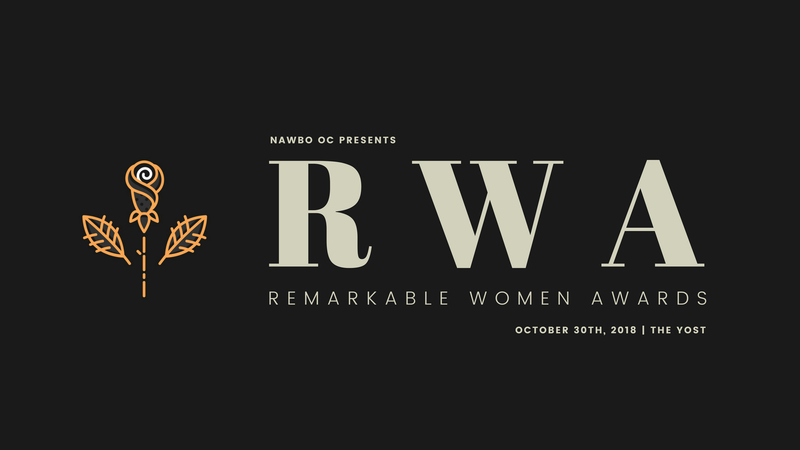 The National Association of Women Business Owners Orange County chapter cordially invites you to our annual Remarkable Women Awards reception. We will honor five Remarkable Women who have made inspiring contributions to the entrepreneurial landscape in Orange County. This year also marks the 30th anniversary of the passing of H.R. 5050: The Women’s Business Ownership Act. Until 1984, women could not obtain business loans or credit in their own name. This landmark piece of legislation paved the way for women’s equality in business ownership. Guests will enjoy a celebratory reception (with cuisine stations and wine) and a seated awards presentation. Special guests will be announced shortly. To nominate a woman entrepreneur or advocate, please visit our website.